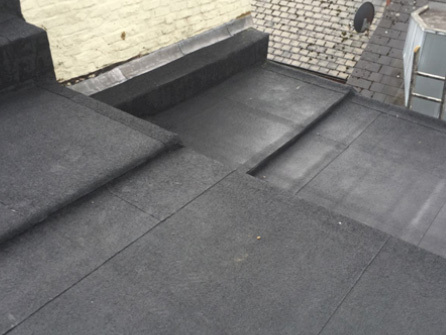 Our experienced team here at Runnymede Roofing have been specialising in flat roofing for many years. 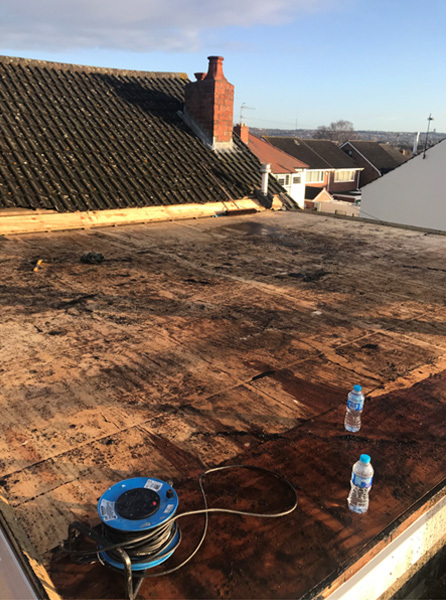 Flat roofs or low pitched roofs have a limited life span and are notorious for leaks and degradation over time. 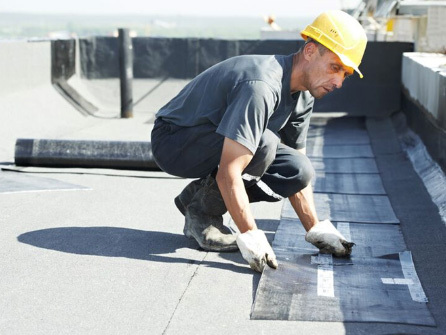 Sometimes a simple patch repair using asphalt or torch on felt or a single ply membrane may solve the problem. 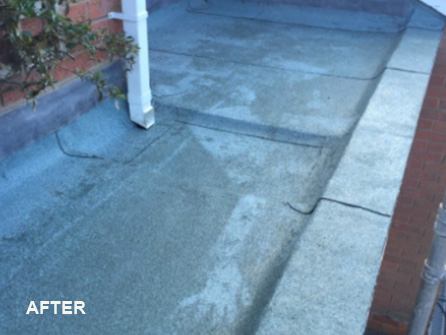 At other times where serious damage has occurred, new insulation panels and re-felting may be required. 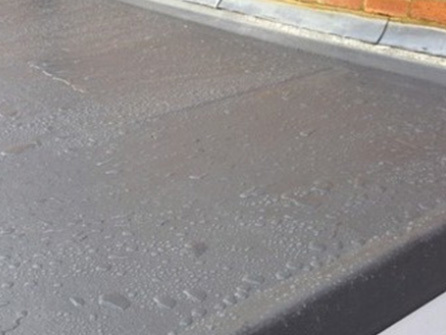 Also known as GRP roofing, or glass reinforced plastic, there are three parts to a glass fiberglass flat roof, and that is what makes it so strong and durable making it the architects choice for flat roof construction. 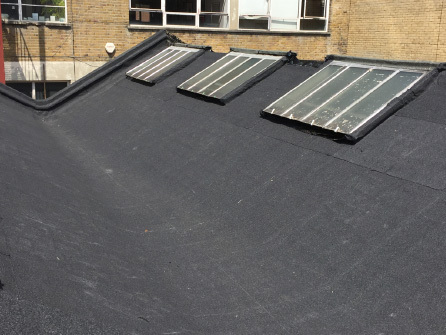 We specialise in Fiberglass roofing and with years of experience, we are able to deliver the highest quality flat roofing system available. 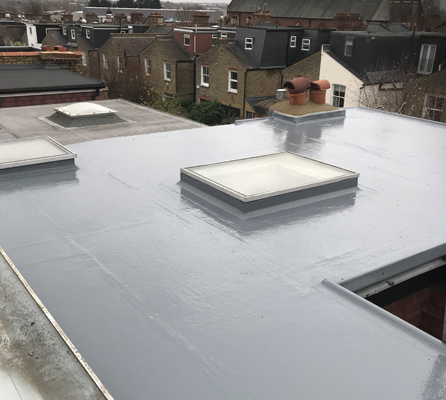 We undertake all types of GRP Fiberglass projects for Residential homes, Commercial premises and Industrial factories and warehousing. 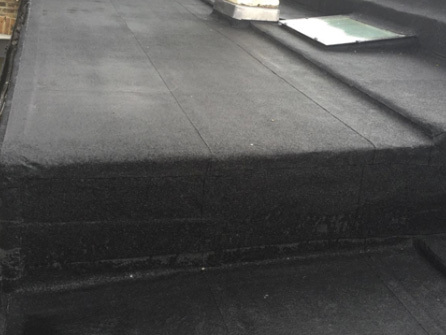 In addition to our experience and technical knowledge, our team use a heavier grade Fiberglass mat than the industry standard. 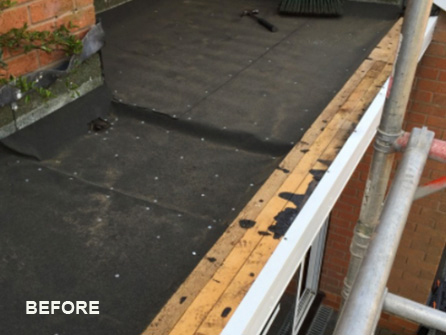 This enables us to guarantee our roof systems for 35 years, although they will last for much longer. 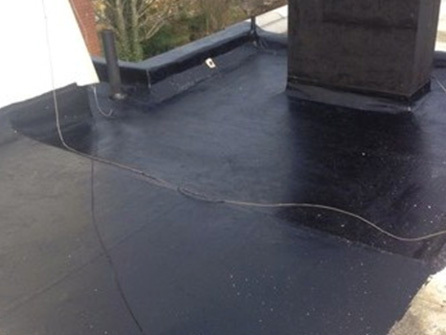 Why have a GRP roof by Runnymede Roofing? 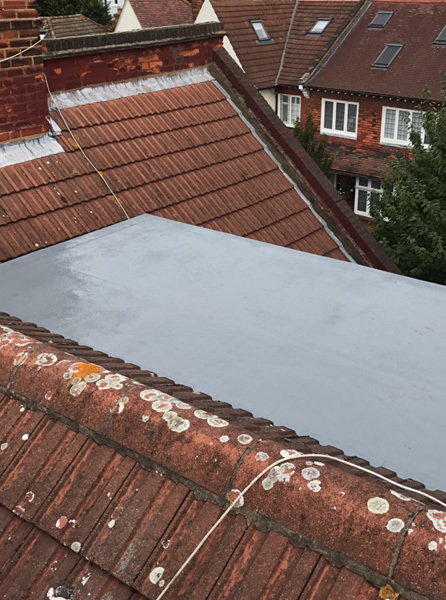 So, whether you are looking for a flat roof made of lead, felt, GRP or liquid resin rubber call in the experience of our team at Runnymede Roofing. 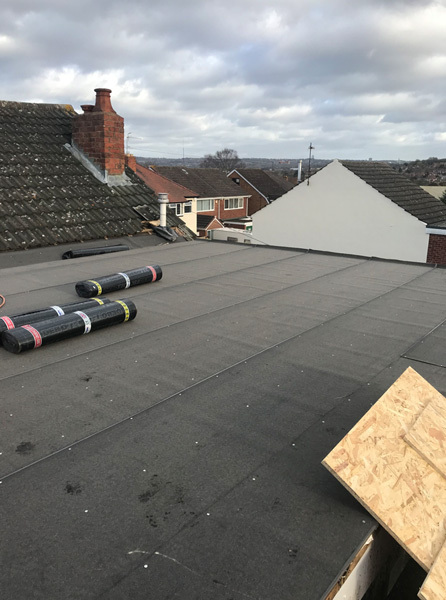 We will be able to show you the differences of each type of roofing material and give you our expert advice on what would best suit your Residential, Commercial or Industrial property. 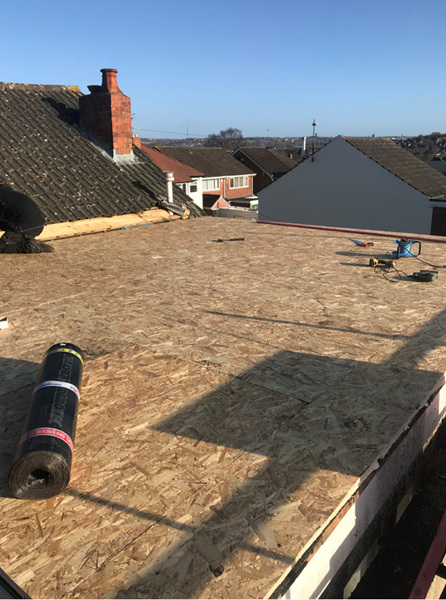 For your peace of mind, we offer written guarantees on all our work, have a public liability insurance of £2m and are obviously fully insured. 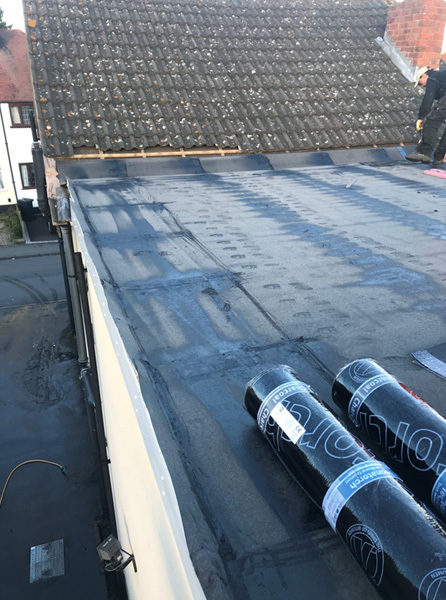 We are vetted and approved by Trustatrader, where you can see over 100 customer reviews and we also have a Facebook page if you want to see more about us. 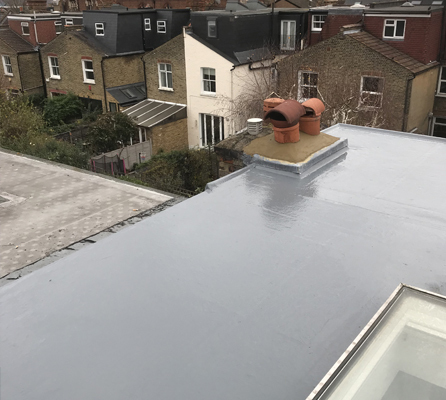 For any sized flat roof, call us on either 020 8528 3550 or Surrey 01932 690 922, a member of our friendly team will be happy to take your enquiry.